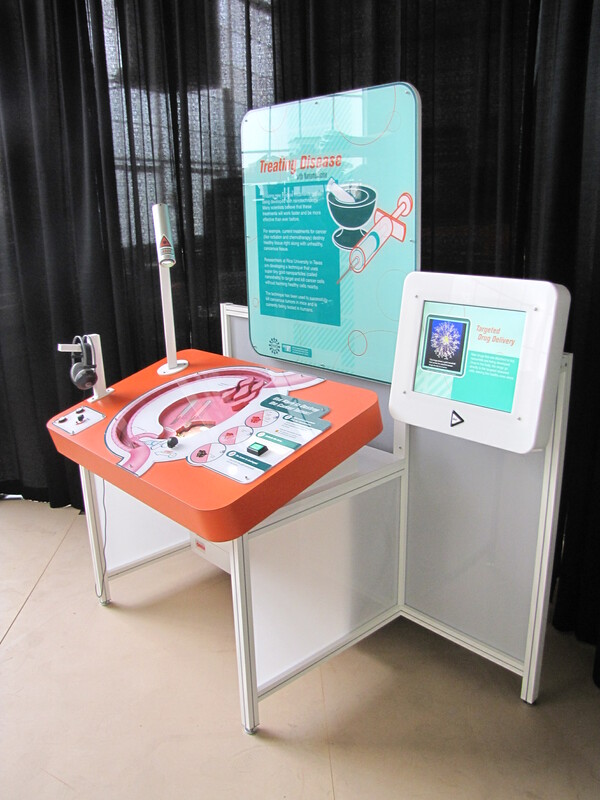 This interactive component is about cutting-edge medical treatments that are being developed with nanotechnology. 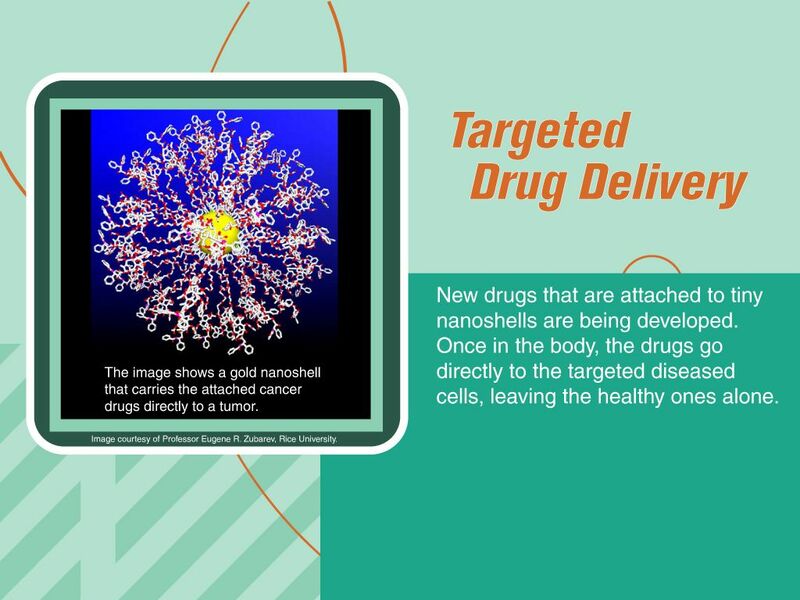 Gold Nanoshells, demonstrates how tiny nanoparticles of gold are being used to destroy cancerous tumors. Visitors inject gold nanoshell marbles into the bloodstream and watch as the gold nanoshells are absorbed by cancerous cells. The visitor then activates an infrared laser and watches as the laser heats up and kills the tumor cells while leaving the healthy tissues unharmed. 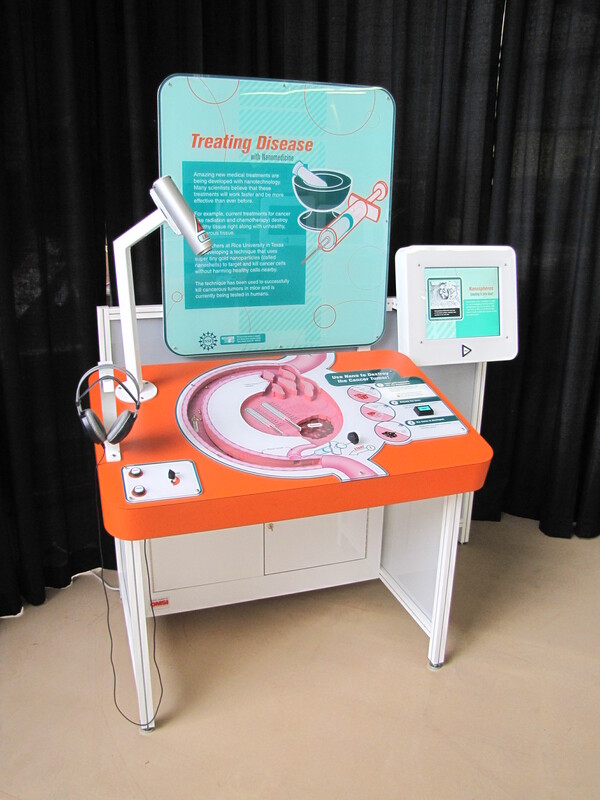 Nanotechnology is changing the way we treat disease. 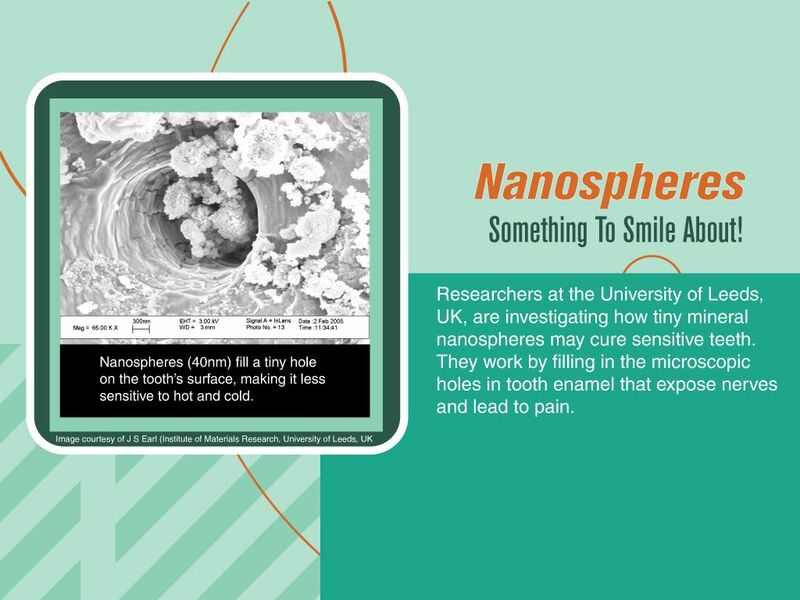 Cutting-edge treatments will use materials that are as small (or even smaller!) as the tiniest parts of cells in the body. Researchers think that nanomedicine will work only on targeted cells, and will have fewer side effects on the rest of the body. When gold nanoshells are injected into the bloodstream, they travel through healthy blood vessels but easily slip through the leaks found in tumor blood vessels and collect in the tumors. A laser shines light through skin and tissue (without damaging them!) and into each tumor, where the nanoshells absorb the energy and heat up. The heat from the nanoshells destroys the tumor cells.